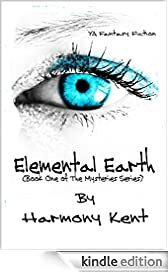 I’d like to welcome Harmony Kent to my blog today. Harmony is another author I met through Twitter and the Rave Reviews Book Club. She’s a very nice lady and a very good author. It is my pleasure to host her on the RRBC Spotlight Author blog tour. Hi there! 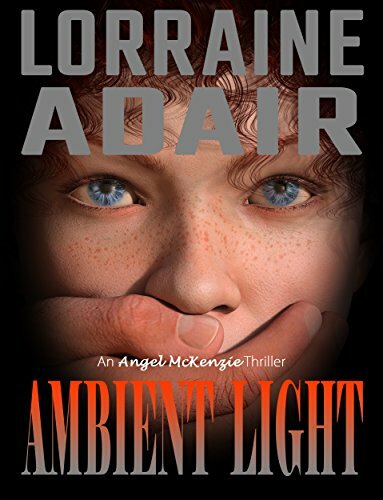 This is the third day of my RRBC Spotlight blog tour. You can find details of all my stops here. Even after I had my leg amputated, back in 2010, I continued to be in great pain, and have required various medical procedures since then. I am waiting for some further work to be done on my spine at the moment, in an effort to try and reduce the daily pain and debilitation I am living with. Throughout all of this, the single thing I am always able to do, is to sit and write. For that I am so very grateful. As soon as I had finished my first book, The Battle for Brisingamen, I started on my second book, The Glade. I didn’t have the luxury of jumping straight into writing another book when I finished this one though, as I had a lot going on in my life. I had an initial procedure on my spine to try to alleviate some of the pain in my amputated leg, then moved house—which involved having to get major adaptations done to make my new home wheelchair accessible. Not to mention having to do a major edit on my first book—as well as making changes to ‘The Glade’—I felt overwhelmed at times, and it was all I could do to keep my head above water. One thing that helped a lot during this trying time, was discovering Rave Reviews Book Club. I was reading an article on Bette A Stevens’ website, and I followed a link she provided. The club is the only place I have come across that offers so much support, and friendship. My recent ten day spot as Book of the Month was incredibly uplifting, right at a time I needed it. And, now here I am in the spotlight seat! I am a great believer in ‘paying it forward’. That is, if someone does a good turn, then make sure you pass it on, and do a good deed for someone else. Ever since publishing my first book, I have been acutely aware of how difficult indie authors find it to promote themselves and their work. I geared up my website to offer guest posts and reviews, in an effort to help. But, this was nothing, compared to the scale of what I can achieve as a member of Rave Reviews Book Club. 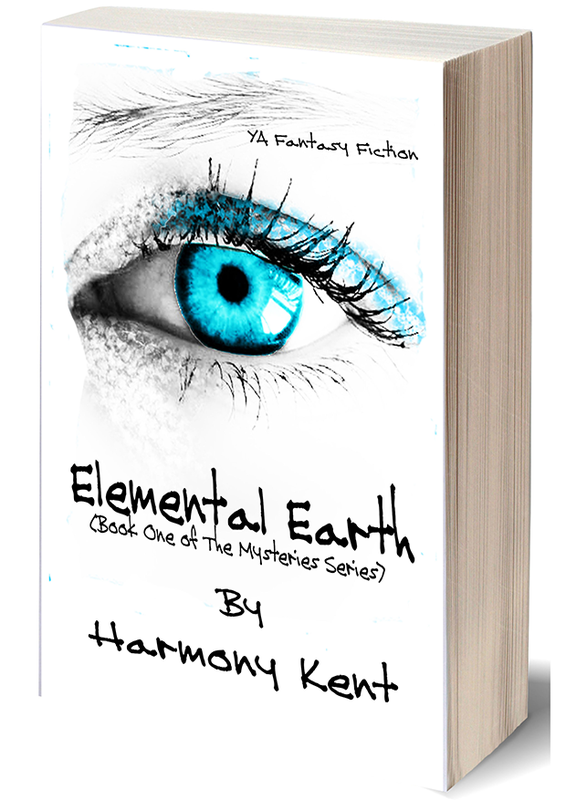 Elemental Earth is the latest book from Harmony Kent. Very soon, I joined the Tweet Support Team and signed up as a Spotlight tour host. Then I joined the Governing Board, as Administrative Assistant, and I am so honoured to be able to help support the club in this way. It is yet another way I can ‘pay it forward’ and pay back. I now also offer editing and proofreading at very discounted prices, as I know that most indie authors don’t have a lot of spare cash hanging around. Yet, to get your book edited is one of the most essential things an author needs to do. I have come across so many indie books that would have been brilliant, if only for some editing know how. This situation has led me to begin work on my first non-fiction book, Polish Your Prose (Essential Editing Tips for Authors), which will be published later this year. Occasionally, if I feel an author has been ultra-supportive of other writers and is a generally good person, I will offer my services for free. If I didn’t need to eat, I would work for free all the time, but even I have to accept that that isn’t realistic. I have learnt and developed such a lot since I first began writing, and it makes me very happy to be able to pass this knowledge on, in any way I can. It is another way I can ‘pay it forward’. It is interesting the path my life has taken. And, despite disability and pain, I am the happiest I have been. I find writing incredibly fulfilling, yet that is nothing compared to the pleasure of seeing my fellow authors succeed. And, in RRBC, I feel I have found a wonderful community of like minded folk. It’s always an honor and a privilege to host the RRBC Spotlight Author. But when that author is someone I admire, like you, it’s just that much sweeter. I’m so glad they asked me to host you. Hugs. You’re a wonderful person, Harmz. I hope the latest treatment on your spine reduces your pain. Please everyone, support Harmz by purchasing copies of her books! Thanks for hosting, Lorraine. 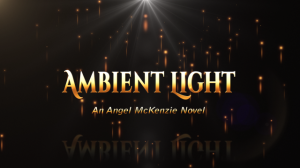 Congratulations on your well-deserved Spotlight Author week! I’m so glad to be getting to know you better, Harmony! You are truly an inspiration to us all – in overcoming your physical disability and excelling in your work as an author – and helping other Indie authors! I’m honoured to know you and work with you at RRBC! Thanks for hosting today, Lorraine! Congratulations Harmony! I am enjoying these wonderful posts during your “Spotlight” Author blog tour and am learning so much about you. Enjoy the warmth of the spotlight! Thank you for hosting Harmony. Another great post Harmony. Play it forward is the only way we all can move ahead. Thank you for your support and thanks to Lorraine for hosting today. Thanks for hosting, Lorraine. You already know how I feel about your writing!! I love the cover to your new YA, Harmony. I’ll be picking up a copy! You’re subtle humor is so refreshing to encounter and your enthusiasm and transparency is beautiful! Best of luck on this tour and I hope your book sales SOAR! Harmony, I know I speak for everyone when I say that you’ve made a real difference in the RRBC. 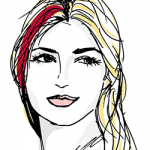 Fantastic blog post, Harmony! Very insightful and inspirational! Thanks for sharing! Lorraine, thank you for hosting! Your support is invaluable. I am happy for you Harmony for getting the support you deserve. Congratulations again and again. Have a wonderful tour. Thank you Lorraine for hosting. I hope you get better soon, Harmony. Congratulations on a well-deserved spotlight! I love the way you describe your book as being for young adults or young at heart. Lorraine, you’ve got a beautiful site here. I’m looking forward to In Spite of Honor. Awesome post, Harmz!! Lorraine, thank you so much for hosting Harmony during her Spotlight week! !